Windows can only handle 15 overlays. Delete unwanted overlays until there are only 15 left. In my case, I have DropBox also. 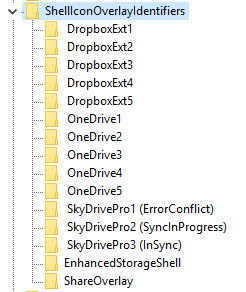 I simply deleted DropboxExt6 through 10.